Our Dating Guidebook Reader "All the Rules" wrote to compliment about our dating guidebook, it's superb!!" Read Free - Dating Guidebook of Matchmaking Dating Service Agency, Dating Guidebook for Social Media Era for Single Ladies. Must Read!! 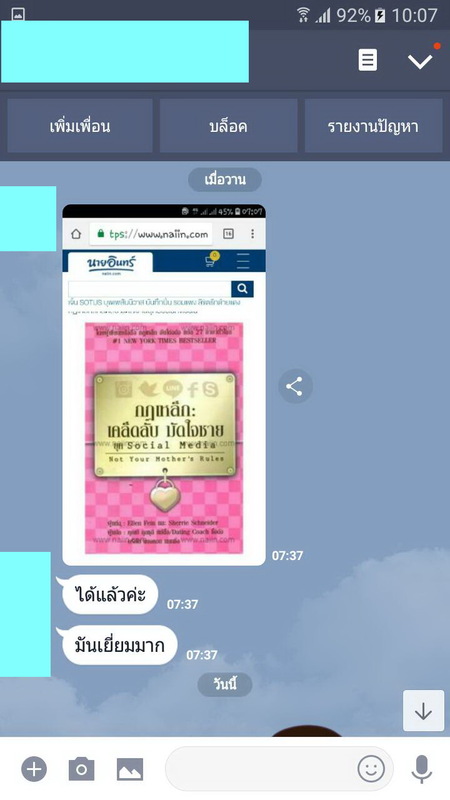 "ได้รับหนังสือสอนหาคู่ กฏเหล็ก มัดใจชาย ยุค Social Media แล้วนะคะ มันเยี่ยมมาก"